SPRINGFIELD – The Illinois Department of Transportation announced yesterday that it has approved 54 projects across the state through the Illinois Transportation Enhancement Program. In Senator Cristina Castro’s (D-Elgin) district, the Village of Streamwood will receive over $650,000 in funding to widen Irving Park Road. 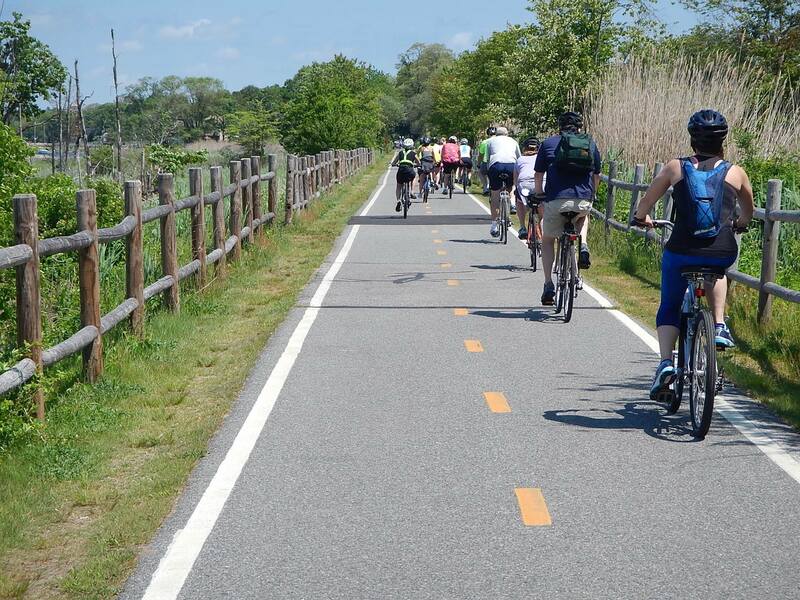 These projects were approved and made possible by federal funds directed to IDOT and focus on improving alternative options for getting around local communities, including walkways and bike paths. For more information regarding the Illinois transportation Enhancement Program, click here. 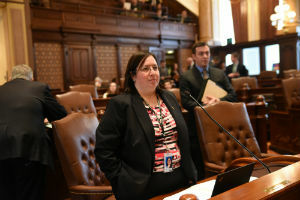 SPRINGFIELD– Senator Cristina Castro (D-Elgin) is working to ensure that Illinois consumers get rebates in a fair way. Senate Bill 3102 makes it unlawful for retailers to offer consumers a rebate made on a store-value card that charges inactivity fees or other post-issuance fees. 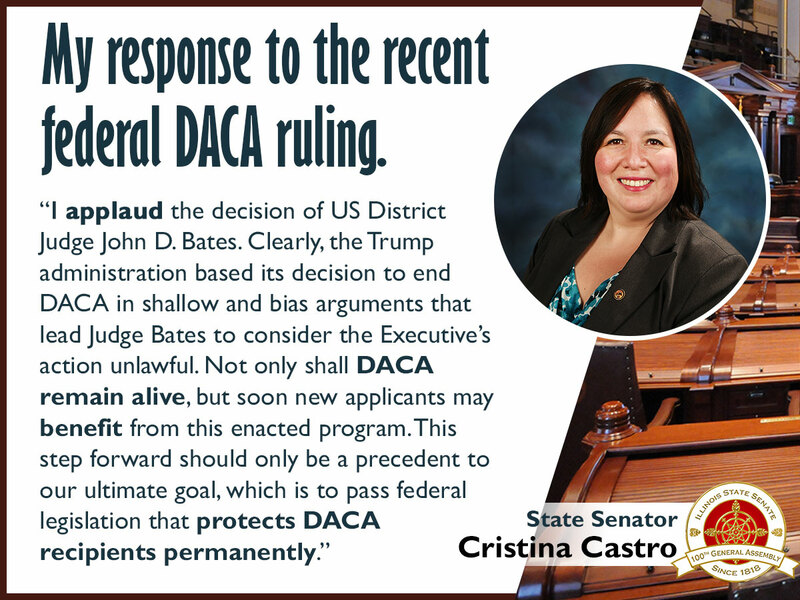 SPRINGFIELD – Senator Cristina Castro (D-Elgin) passed a measure today that would help provide children in foster care and under supervision of the Department of Children and Family Services (DCFS) the opportunity to go to college. 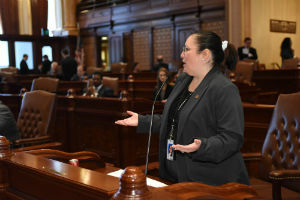 Under Senate Bill 2846, certain youth from DCFS, after applying for FAFSA, would have the opportunity to receive a scholarship that would cover the remaining tuition and fees for any community college, university or college in Illinois. Currently, there are scholarship opportunities provided through DCFS, but the number is limited. Only 53 scholarships are provided each year and approximately 250 students apply annually. Castro’s measure will allow scholarship waivers to be available to students for at least the first five years that they are enrolled as long as they make progress toward completing their degree. The youth must enroll before the age of 26 to qualify. Senate Bill 2846 passed the Illinois Senate and will now move to the House.